← Is Indonesia Suffering an Identity Crisis? Compare the Irish Economic Problems and Austerity Solutions with South Australia: How would you cope? 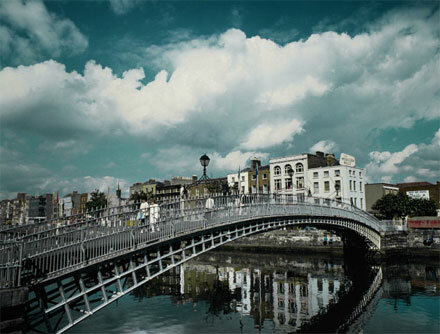 Is the Irish Government Bailout of the banks a bridge too far? It is easy to be a little confused about the economic and financial troubles that are affecting Europe at the moment, and in particular Ireland. Surely Ireland is a lovely little place, who are famous for Guinness, potatoes, leprechauns and what else? Well Ireland was previously regarded as a wonder of Europe, with a population of only 4.5 million, and with limited natural resources, Ireland was able to build a reputation as a “smart” country, with a burgeoning IT industry, and construction industry was flourishing , with Ireland one of the major beneficiaries of the Eurozone. But this has now all gone very, very wrong. Ireland is in bad shape, and was already starting to have difficulties before the Global Financial Crisis started. Throughout much of the last decade Ireland was able to record budget surpluses…so no problem there, but the GFC has brought about a string of problems that have the potential to bankrupt the Irish State. Ireland had a major construction boom throughout the last decade, and this was driving the Irish economy forward, but that has now ended, and property values have now reduced on average by 40%….yep thats right 40%!! 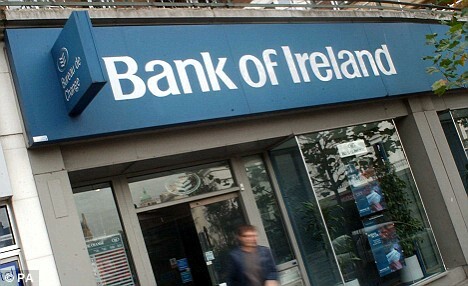 Unemployment in Ireland is now over 13%, and these two issues combined with a lack of confidence in the European banking system has meant that the major Irish Banks were on the verge of collapse. The Irish government came to the rescue and agreed to bail out the banks….which is likely to be in the range of A$ 70-110 billion!! Now that is a lot of money….Now whether that was the right thing to do or not is a matter for debate, but it has meant that now the Irish Government is on the Verge of Bankruptcy! It has to adopt serious austerity measures to have a chance of paying its debts. All the while this is occurring Ireland has had its credit rating reduced to A+, any lower and it will be junk status, which puts the price of borrowings through the roof! Even at A+ the borrowing rates are high, which makes it even harder to repay the large government debt. So in order to cut spending the Irish Government has announced that they will need to cut A$21 billion from the budget bottom line over the next 4 years. But will this be enough? The Irish government and banks are now reliant on the European Central bank for funding, and the Irish government say they have enough cash to survive until mid 2011….but the markets, the IMF and other EU Government s are not so convinced. The cost of borrowings is going up for Ireland, and don’t be surprised if Ireland joins Greece with a credit rating downgraded to Junk Status in the very near future. Ireland is being encouraged/told to accept an IMF-EU bailout, but it is a double edged sword. A bailout might give confidence back to the market in Europe, but it will take economic management away from the Irish Government, and place it in the hand of foreigners….you know the sort of thing the Irish didn’t really like for the past 500 odd years with their English overlords. I can’t see them liking EU control any better. Any IMF-EU Austerity measures would likely be much tougher than those proposed by the Irish Government….so how do we put this in context? As a comparison let’s look at Australia, which has not gone into a full blown recession during the GFC, the major banks are recording profits in excess of A$5billion(which means they don’t need a government bailout), property prices are stable and unemployment generally is around the 5% level. If we look at the states in Australia we can get an idea of the impact of these Austerity measures and what their effect would be on Australian states. South Australia current budget figures suggest that revenue and expenditure is roughly about A$15 billion a year and they have a AAA+ credit rating, while the QLD government revenue and expenditure is about A$40B a year with a AA+ credit rating. Why do I include these two states? Well the Irish capital Dublin is a bit bigger than Adelaide, and QLD has roughly the same population as Ireland. So if we insert the Irish Austerity measures onto the South Australian Government, it would be almost halving expenditure each year for the next 4 years….while the Austerity measures are half the yearly revenue of QLD. So in SA, we wouldn’t be needing a debate about a stadium, a hospital, a southern Expressway, an Electrification of the railway, or even money for hospitals and schools…it would all be slashed. Jobs would be cut, and public sector wages would be reduced by at least 30%. So when you next hear or read about the challenges faced in Ireland, think about how you would cope in Adelaide or Brisbane if the government here had to cut expenses by that much. So would you cope?